The aim of the City Match Exchange Programme is to help bring people together to develop competences, share knowledge, ideas and working methods on sustainable and innovation procurement in the waste and resources sector. 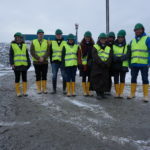 The idea is that an employee or group of employees interested in the waste and resources sector visit another organisation working on this topic. The visit is meant to provide new experiences and ideas and will normally take between 1-4 days. Who can participate? The programme is intended for all staff from public authorities working in the waste and resources sector, amongst others politicians, policymakers, waste management and prevention professionals, environmental and utilities service providers, procurement officials, and technology providers. What exchange activities can be undertaken? What topics can be addressed? The 3rd UrbanWINS CityMatch will be kindly hosted by the City of Malmö (Sweden) from March 6 – 8, 2019. This CityMatch will focus on contract management for strategic and sustainable public procurement. Participants in this activity, together with contract managers from Malmö purchasing cleaning and transport services, will discuss about transport services for people with special needs, cleaning services for (office) buildings and schools, market analysis before tendering and the criteria for evaluation of tenders, including contract terms / conditions. Participants are expected to have experience and interest in those areas. Transport services for people with certain needs, such as children with special needs, persons with disabilities and elderly as well as school buses for children. Cleaning services for (office) buildings and schools. Criteria for the evaluation of tenders, incl. 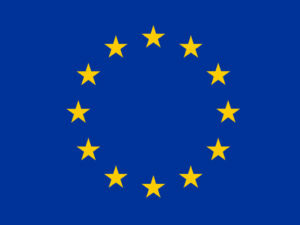 contract terms/conditions that should prevent social dumping versus providing working opportunities for long-term unemployed persons and newly arrived. 13.30 Time for doing some work together. Social responsible contract terms/conditions for service contracts (cleaning, transport) and how to follow up best? 17.00 End of day two. From Kastrup airport of Copenhagen, Malmö can be reached by train. accommodation. Please, approach us if you have any queries. – Which CityMatch (location, date) do you apply for? – Why are you interested in the topic of this CityMatch? – What experience would you bring to the study visit? ICLEI will reimburse travel and accommodation of up to 600 EUR per person. Language: English. We look forward receiving your applications! 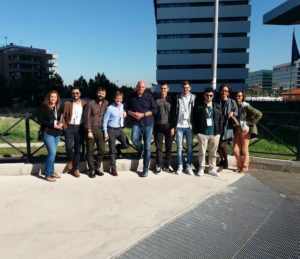 The 1st UrbanWINS CityMatch was kindly hosted by the Metropolitan City of Capital Rome and took place in Rome (Italy) between October 12-13, 2017. Participants had the opportunity to discover how furniture circular procurement and Green Public Procurement monitoring work in practice. Participants were expected to bring forward innovative ideas in the areas of circular economy and furniture procurement. The 2nd UrbanWINS CityMatch was kindly hosted by the City of Zürich (Switzerland) from January 23 – 25, 2019. 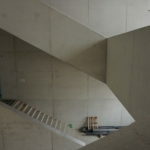 It’s main purpose was to provide a forum for exchange on the reuse of concrete used for buildings (recycled concrete). Public authorities from across Europe came to this study visit, where experts from Zurich, incl. staff from the building construction and health & environment department, incl. 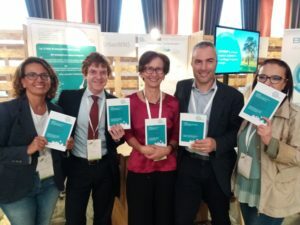 city planners, facility managers, persons from the sustainable public procurement and suppliers of concrete, presented their approaches towards a circular economy. The City Match Programme is supported and endorsed by the Procura+ Network Twinning Programme. This project has received funding from the European Union's Horizon 2020 research and innovation programme under grant agreement No 690047.